There are so many emotions engulfed inside you and there is so little you can do about it. Every time you look at something or see someone, certain set of thoughts come into your mind. They can (thoughts) can be short lived or long lived. You never really share them or at times you don't really have anyone to share with. Often they die out or get buried deep inside your mind. However, for some like us, from whom emotions and thoughts have very high regards in our life, and we cherish them by our writing. For me, it was very important to make my thoughts and opinions reached to someone. And hence started my The World Through My View, later renamed as Pseudofiction. Tortured by the Indian education system, burned by the intense medical studies, my life in my double room apartment in Janakpuri was distorted. Never really cared to learn things, all I did was just sit back and imagine things. And then came up the idea, let me preserve whatever I have in my mind. Broadband revolution just reached me, Blogger just impressed me and on 21st December 2012, I posted my first experience of the city, Locked at Uttam Nagar: My First Experience in Delhi. It was very ironic that the city I love so much today did not give me that good an experience in the eary days. I used to miss home and it was a little difficult for me to adjust here, for reasons well explained in my very first post. The response was good, as I slowing started to gain readership I decided to market my blog. With no intentions of becoming a college celebrity or a social network sensation (done by many these days), I started my Blogging game. Pesudofiction landed up me with Barefoot, with whom I am working currently. It gave me an opportunity to meet International football star Drogba, a dinner with Minisha Lamba and also helped me get into Tehelka. 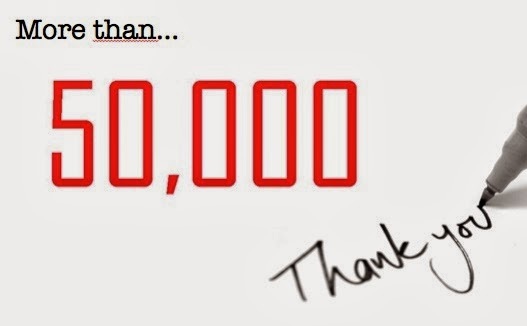 Today, its a important day for me, two years back I started this blog and on the very exact day, I crossed 50000 views. The love and response is awesome. 50K pageviews for a personal blog is a little too much to ask, but fortunately, I did achieve this.